This was my first story time I ever planned on my own. I did it in March of 2014, and it went over very well. It kept the kids very active which cut down on behavior issues. Then, I introduced my theme, and we talked about our favorite ways to dance. 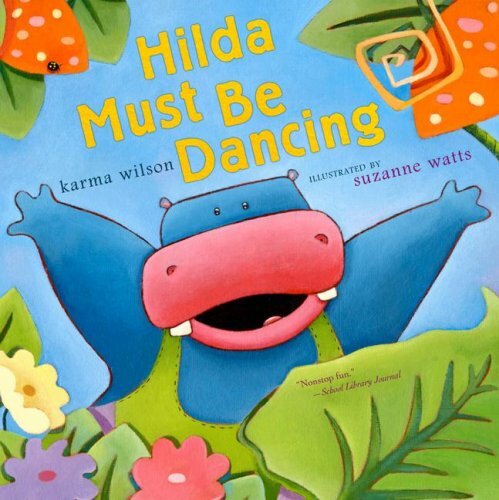 Our first book was Hilda Must Be Dancing by Karma Wilson. The kids loved calling out the refrain throughout the story and seeing what kind of mess Hilda would create next. I do not like to prance. You cannot make me move. You cannot make me groove. I do not like it, don’t you see? Dancing is just not for me. Is a dance that might have been. Is a dance itself, that much is true. Because that, after all, is what dancing is all about. 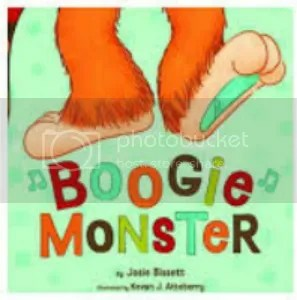 After learning how important and fun dance could be, we went on to our next book–Boogie Monster by Josie Bissett. This book was a big hit since it focuses on different types of movement and you dance throughout the book. I’m also a big fan of her Tickle Monster book and read it often with my niece and nephew. While we were standing, I moved on to another movement song. Can you flutter, can you fly, Like a gentle butterfly? Like a beetle that is round? Can you move with me? As we settled back down, we did a dance fingerplay. Dance them on your tummy. Put them all to bed. 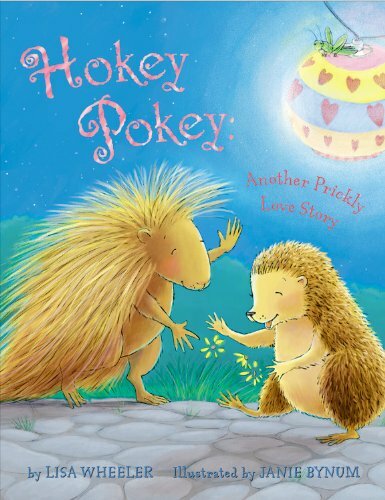 Our final book was Hokey Pokey: Another Prickly Love Story by Lisa Wheeler. For this one, I did storytelling without the book. Though there was some initial grumbling about missing the pictures, the kids soon got into it as I acted out each character and performed the various dances. The adults in the group enjoyed the more sophisticated humor thrown in too, and it became a big hit all around. Then, it was time for my usual closing song “Goodbye, Goodbye,” and for us to leave. We did not do a craft this week since I was just filling in at the last minute.